Kabudula Hospital staff cleaning up the ceiling collapse hastily to return to business as usual. Bats have taken over the antenatal department at Kabudula Community Hospital! 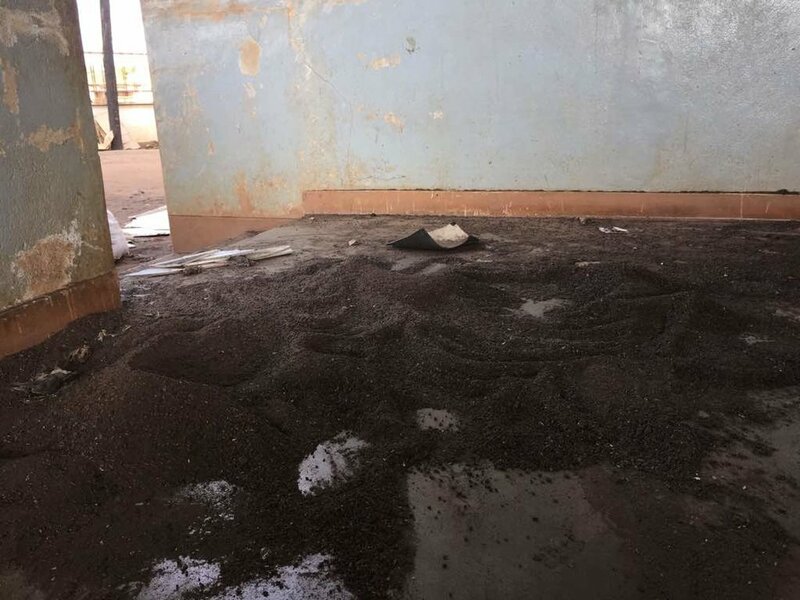 Apparently they had been nesting between the roof and ceiling of the building which houses the antenatal clinic, ETAT, dental department, and vaccination clinic, but remained unawares for quite some time. A few weeks ago, the entire roof over the antenatal waiting area collapsed! The feces produced by the bats had built up on the ceiling for so long, that the sheer weight of it caused the entire ceiling to fall through in one unforgettable moment. (Luckily, no patients were affected, as it was almost after hours). The following day was spent sweeping up the bat feces and carting it off in sack bags to be sold for manure. The staff at Kabudula was working very hastily to clean up the mess and return to business as usual. They are also working to ensure this does not happen again. The aftermath of the collapse! Oftentimes, patients in Malawi have many barriers to obtaining healthcare. They don’t have a mode of transportation themselves, or money to take a bus to the healthcare centers. They don’t have resources to afford a hospital stay (family lodging, family and patient food). They are unfamiliar with the healthcare system and don’t know how to properly navigate it, including many not believing that their condition can be treated, or providers in rural areas not having the resources to do so. They are unsure if they will have to be referred to a large hospital, which would mean further transport, longer stay and less familiarity with the system. They are unsure if they will need to purchase medicine, which they may not be able to afford. These are only a few examples on top of the fact that there is only about 1 physician per 1000 citizens in Malawi. 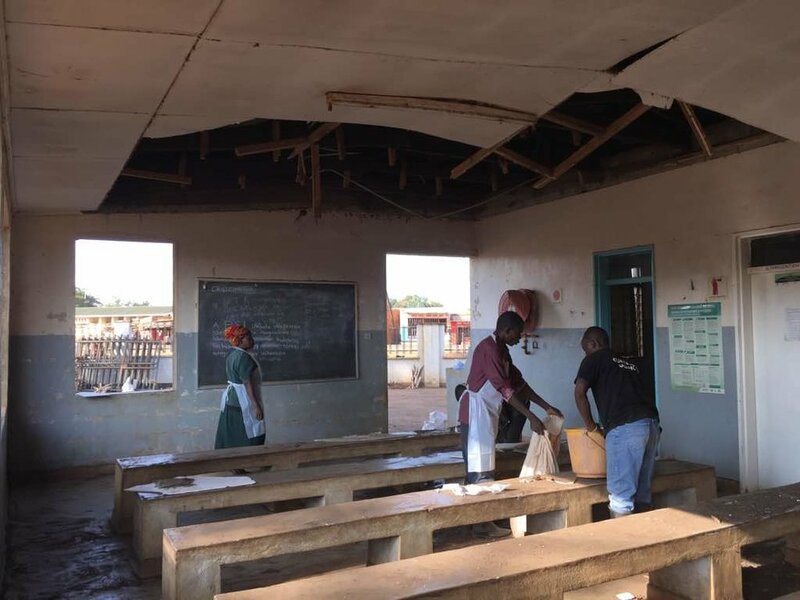 The ceiling collapse can be thought of as a metaphor for healthcare access here in Malawi where so many small things compile to prevent a Malawian from obtaining care. We aim to prevent a collapse by reaching patients where they are and addressing these barriers to care.